One of the first pieces of homework my won had this year was to find a city of interest and produce a poster full of facts about it. I must admit, we struggled a little bit with this because we don’t have many children’s books about cities and the Internet can provide some complicated and confusing information on this sort of thing. We needed something which was pitched at the right level. This book fills that gap perfectly. 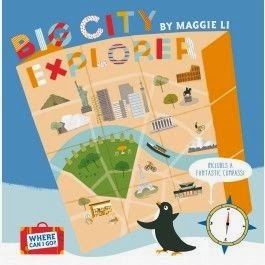 Big City Explorer is a guide to 28 cities around the world. Penguin is your tour guide and he takes your everywhere form Mumbai to Washington DC. For each city there are two pages of information and maps which are brilliantly illustrated and provide a real flavour of the place. In fact, its such an enjoyable read that I haven’t been able to put it down myself and I’m brimming with facts to rival the most experienced pub quiz goer! 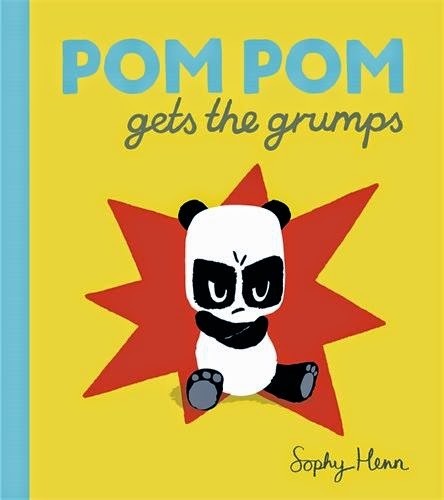 The children have really enjoyed this book and it has found price of place on their non-fiction bookshelves to be read and consulted at leisure. It has been a real joy to catch them learning about various cities when I thought they were watching TV. I think this is a brilliant book and I will be buying this as a gift for friends and family. The addition of a compass provides additional interactivity and learning opportunities. However, in providing the compass the publishers have had to make the front cover thicker than usual. This is a bit of a nuisance as the book takes up more space on the shelf and also is more bulky when you want to take it out and about. I’m not a fan of books with non-standard covers as they detract rather than add to the experience especially for little hands, making the book heavier and less easy to handle. This is a lovely book and well worth adding to your collection or would make an ideal Christmas gift for a child. You can find out more and get hold of your own copy here.